This unique fixing will expand into either solid materials or cavity wallboards. 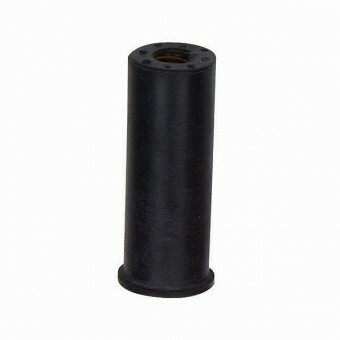 The rubber sleeve gives some allowance for movement where vibration may be present. The larger sizes have also been used effectively into asphalt and other unknown base materials. Rubber nuts are supplied without screws to enable you to select the correct style of screw from our large range.